WOW.....we did it! Episode 200! I decided to tackle one of the toughest things I have to deal with as a coach with this milestone episode. Seeing someone reach their transformation goals only to slip all the way back to ground zero is really tough and I can't help but take it hard.....I just can't switch off my "give a damn". My goal with this episode is to describe what I see from a coaching perspective as a client starts to slip and give you some clarity on how you can prevent this from happening to you. 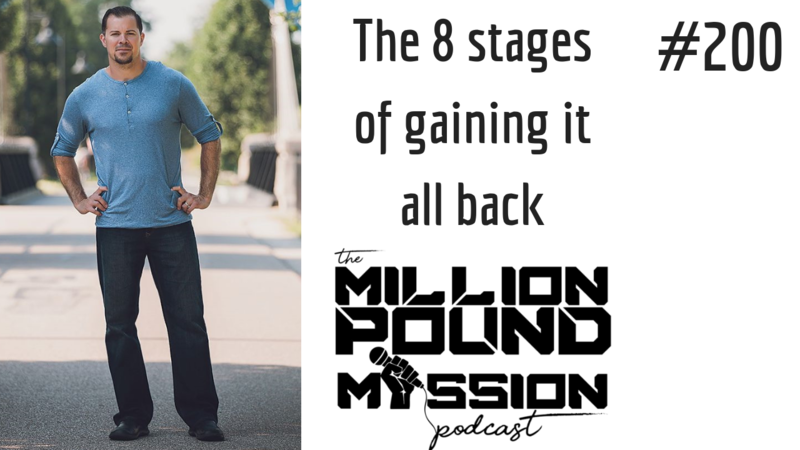 Listen in on iTunes or Stitcher as I dive deep on the 8 stages of gaining it all back....and the 5 key steps you can take to overcome this and reverse your momentum again.